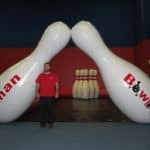 Where can you rent giant games in Dallas? Right here. 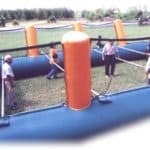 Texas Sumo Game Rental – your source for giant game rentals. Get ready….get set…. chow down you hungry hippos! 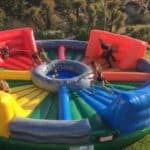 4-player bungee tug-o-war giant game. Speed, strength, and agility. One wacker and six moles includes safe, lightweight hammer to whack moles. 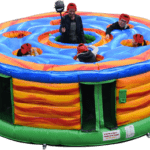 The wacky world of Zorb racing. Challenge friends to the most insane races. Zorb Ball stands 9 ft tall, a safe, cushioned igloo. 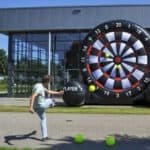 Kick Balls at the Inflatable Dart Board. Balls stick to the velcro. Fun competition. Favorite for soccer-themed events. You’re strapped to poles. Movement restricted. No physical contact with players. A 9-foot netted wall keeps the action moving. Left-hand red…right leg green…This human pretzel brings you back to younger days. 10-players have a chance to get all tangled up. A great ice breaker for any party or event. Knock Down the Bowling Pins with a Zorb Ball. Fun, Giant Game Rental. 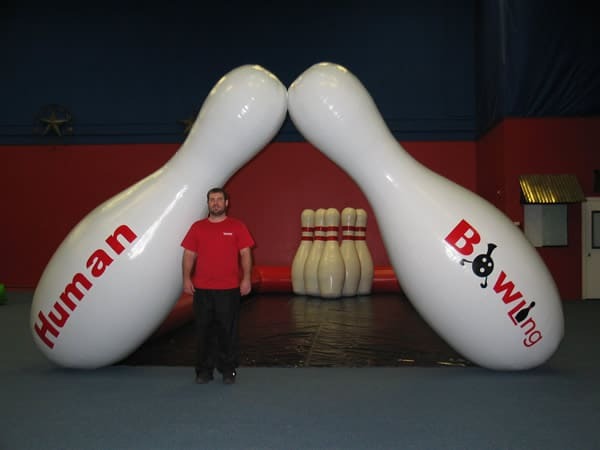 Roll the Zorb ball down the track and knock over the oversized bowling pins. Snow globe available with different backgrounds for holiday parties. 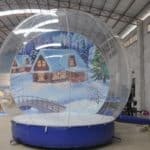 Imagine sharing photos of your family inside this Inflatable Snow Globe.